Scooter Curious….Tell me about Wheat Ridge! I opened my business in April of 2014 here in Wheat Ridge Colorado! Many people ask me, why Wheat Ridge? Easy…have you seen it? It’s an up an coming town that borders with the Highlands, is an EASY direct drive into downtown Denver, and it is an EASY and direct drive into downtown Golden. Yet, it has a small town feel. The people are friendly the streets are clean and it’s growing and growing into a very desirable town. I don’t think I could have picked a more ideal spot for C.C. Rider Rental than Wheat Ridge. The section of town I am in is called “The Ridge @38”. It is filled with things like an Art Studio (Teller St. Gallery), Florists (Posie Girl Flowers), Antiques and Jewlery (Peter Damian), great cycling (Wheat Ridge Cycle)…if you have stumbled upon us yet…What are you waiting for?! This entry was posted in Uncategorized and tagged C.C. 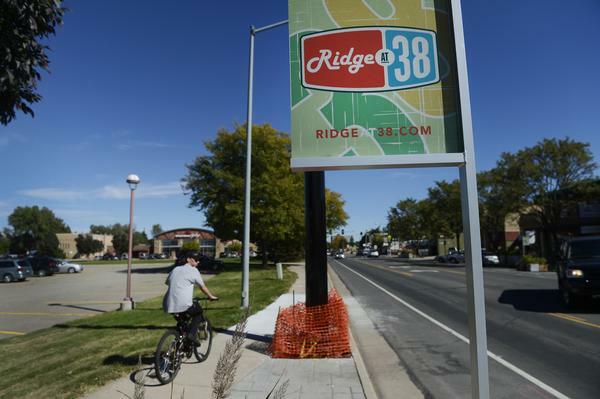 Rider Rental, Denver, Golden, Ridge@38th, scooter, Teller St. Gallery, Wheat Ridge Colorado on October 8, 2014 by ccriderrental.